CLT: What’s All The Excitement About? Over the last decade, excitement about a new strong, green, and beautiful building material has been growing. Developed in Central Europe in the mid-1990’s, Cross Laminated Timber (CLT) is a constructed wooden panel. These panels are made up of smaller timber pieces laminated together to create large and very strong wood panels. Tilted or craned into place, the panels can be used as a more carbon neutral or carbon positive replacement for concrete or steel construction, and have the potential to shave significant time off of the construction process. The ability to apply CLT panels as the primary and/or secondary building structure, in addition to the interior finish, can greatly reduce the number of materials and trades used in the finishing of a building while also increasing the speed of building erection and finishing. In Europe, the use of smaller timber members, from smaller trees, arose as an ecological response within a context of well-managed forests, relying on a virtuous cycle of planting and replanting trees. Carbon sequestration is preserved in the pieces of wood of the panels themselves, and as well, in the replanted trees. If the cycle of tree growth is reduced from 40 years to 25 years, the smaller tree timber can be used for more productive structural strength through lamination to create strong panels, while freeing up space for more trees to be planted. And through the use of CNC modeling connected to factory cutting machines, the clunky, crude 8’ x 40’ x 4” pine panel can be pre-fabricated and transformed into multi-story residential or commercial structures — even high-rise buildings as allowed by code officials in Europe and Australia. The panels’ ability to be CNC-routed into complex geometries, as both structure and interior finish also has great potential for new complex, architectural experiences to create highly evocative experiences of space and light. Awareness of the CLT panel has steadily been slowly growing nationally, but especially in the Cascadia Region. A great deal of research on the use of CLT, its technical requirements, technical characteristics, environmental performance, carbon comparisons, as well as design possibilities, is currently being generated within cross-disciplinary work. The breadth of collaboration is extensive with architects, engineers, academics, foresters, wood fabricators, politicians, and policymakers here in Washington State. As an alternative to more carbon intensive materials of concrete and steel, its use promotes timber as a viable building material that if grown, managed, and harvested responsibly, continues to elevate the region of Cascadia as an innovative culture of highly sustainable strategies. Given that CLT has a much lighter carbon footprint than the more prevalent building systems of concrete and steel construction, the dominant market for CLT is mid-rise 6-12 stories buildings where Type V light timber construction can no longer be used. While American building codes lag behind their European and Australian counterparts for wood buildings at 4-8 stories, substitution of CLT for concrete and steel used as heavy timber, in Type IV construction, makes a far more sustainable building, with a much higher carbon sequestration rate. Even in smaller scale residential construction, in comparison to American 2 x 4/2 x 6 wood frame construction, using exposed CLT without a gypsum wallboard interior finish, the CLT building envelope sequesters significantly more carbon, assuming the native forest from which the CLT timber was harvested is being replanted. Early calculations show the CLT system to be carbon neutral, even potentially, carbon positive. To date, Cross Laminated Timber has been supplied by one of two Canadian manufacturers, Structurlam, fabricating out of their Penticton, British Columbia manufacturing facility or Nordiclam in northern Quebec. The standard 3x panel manufactured by Structurlam and is 8’ x 40’ x 4”, produced out of 3 layers of adhered pine, spruce or fir 2” x 6” planks. Smaller wood members are finger-jointed together to comprise the longer spans. Wood sourcing for the CLT panels in the Cascadia Region covers an area that spreads from northern California up into southeastern Alaska. Several of these regions have been hit by the Mountain Pine Beetle, rendering some wood unusable in a typical lumber industry. 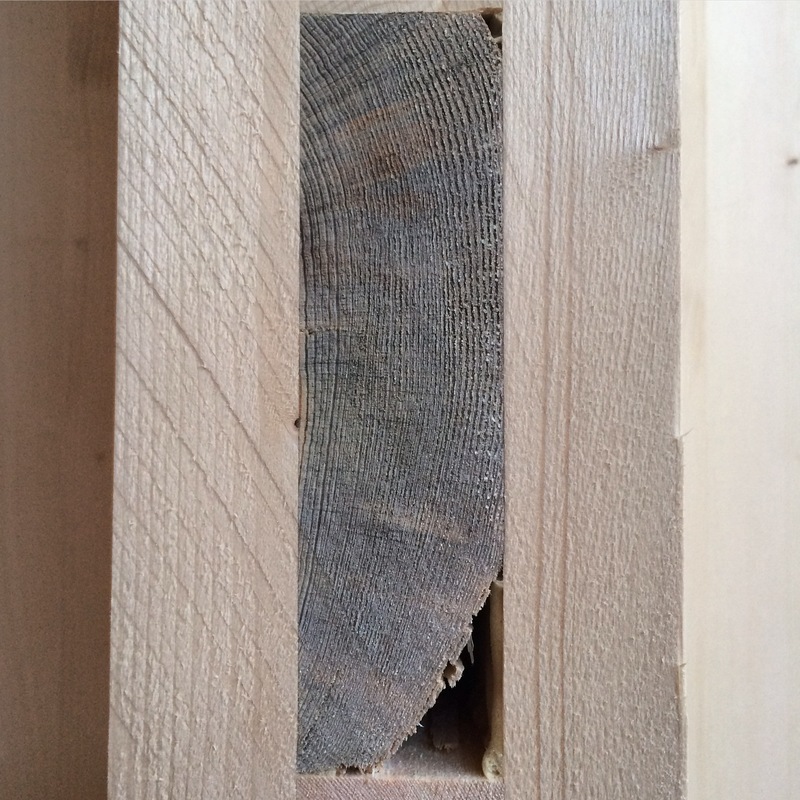 Structurlam often uses these pieces in the inner layers of their CLT Panels, resulting in a beautiful blue hue in the end grain of the panels and less overall waste of the otherwise destroyed trees. 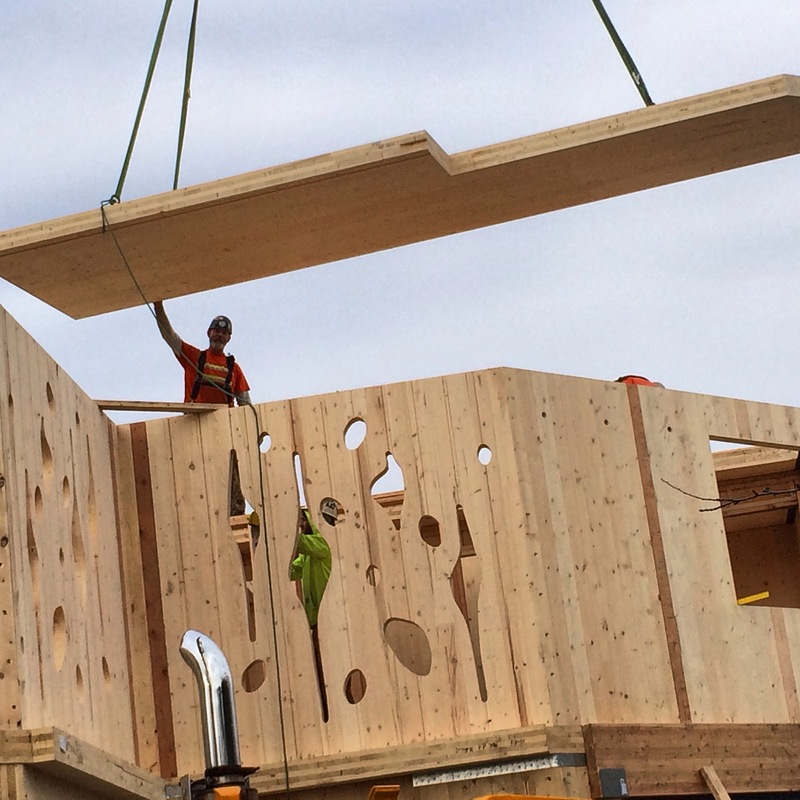 Both North American suppliers of CLT Panels, Structurlam and Nordiclam in Quebec are FSC plant-certified. Given shipping costs and additional carbon outlay for shipping, the desire for a regional American market for CLT panels is building. Oregon has been a leader, supported by the extensive coalition between Oregon State University, the state government, and the private sector. In September 2015, the family-owned glu-lam manufacturer in southern Oregon, DR Johnson, completed certification by the American Plywood Association (APA) of their CLT panels. Panels are scheduled to be available for market in January 2016. These will be the first CLT panels for building construction available in the US. The DR Johnson panels will use Douglas Fir in widths of 2” x 8”, creating a much more uniform and rosier wood tone than the 2” x 6” Western White Pine that predominates the Structurlam panels. Additional sources of CLT panels from SmartLam in Montana are currently undergoing the rigorous APA certification tests. In Washington State, a number of local industries, universities, including the University of Washington and Washington State University, and non-profit agencies such as Forterra, have been focused on building the domestic American supply chain for fabrication. Discussions are underway to consider CLT panel fabrication in three Washington locations, near Colville, Oso, and on the Olympic Peninsula, near Forks. Early market studies suggest that the Cascadia region could support multiple CLT fabricators over the coming decade, as awareness and demand starts to grow. This beautiful, innovative sustainable material embodies the very best of this region. CLT represents the new Northwest: natural and innovative; green and beautiful. 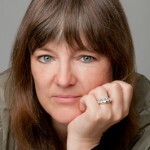 Susan Jones, FAIA, LEED BD+C, is a practicing architect, founder of atelierjones, an architecture, urban and ecodesign firm. Founded in 2003, the firm’s award winning work brings design, research, and community engagement to research and build new sustainable strategies and buildings, including groundbreaking work with cross-laminated-timber, CLT. atelierjones is completing two multi-story projects using CLT, including the first CLT house in Seattle, and a church, two of the first CLT structures completed in the US. CLT offers opportunities in the SE United States also. Clemson University along with its partners North Carolina State University and the US Forest Products Lab, are just completing a project to evaluate southern yellow pine CLT. Several aspects of CLT production including adhesives and fire performance were studied as part of this work. CLT is an exciting product. This is exciting stuff. I hope Seattle get some CLT mid-rises soon! I’m curious though, how environmentally sustainable is the glue in the CLT? And can CLT be composted after its lifespan? i think most of the large EU mfrs are using purbond (solvent/formaldehyde-free). unsure in Canada/US, but imagine same. This sounds like exciting stuff, but as a non-professional in the industry, it’s a bit over my head. How does CLT differ from Glulam products we’ve had for years? Without gypsum paneling on the interiors, how is fire protection provided? I’d like to see some cross-sections or other illustrations of CLT products, to get a better idea what they are and how they go together. Should we assume CLT is what the City of Seattle would require, if it increases permitted building heights for wood frame construction?